We can all do our bit to help reduce our impact on the environment, so when the BBC’s Blue planet highlighted the problem of plastic build up in our oceans, Card Connection were keen to respond. Looking at our product range we identified the plastic straws in our Party range as an obvious disposable item that we needed to take a responsible stance on. We immediately stopped orders for any more of these plastic straws and quickly worked with our supplier in the Far East to identify a more eco-friendly alternative. 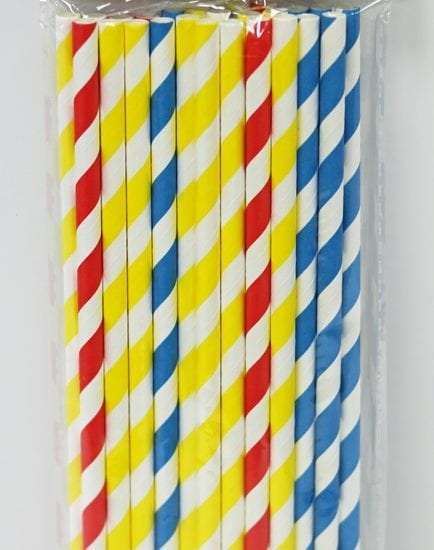 And here they are – bright, fun paper straws that are 100% biodegradable. Our network of Franchisees are very happy and excited to receive this new product line. We expect National Account customers and independent stores alike will also be happy with their environmental credentials, as Card Connection help them, in own small way, to save the planet.